This year is the bicentenary of author Jane Austen’s death, aged just 41, in 1817. Her novels, including Sense And Sensibility, Emma and Pride And Prejudice, have been read, enjoyed, dramatised and studied since publication in the early 1800s, and their wit, irony and often scathing social commentary makes them both historically fascinating and wonderfully entertaining. Just as Jane Austen’s work has never dropped out of popularity, neither have the homes and buildings constructed during the Georgian and Regency periods in which she lived. Prized for their elegant proportions, high ceilings and symmetry, these properties are still a pleasure to live in today – with the addition of a few contemporary updates, of course (electricity anyone?). 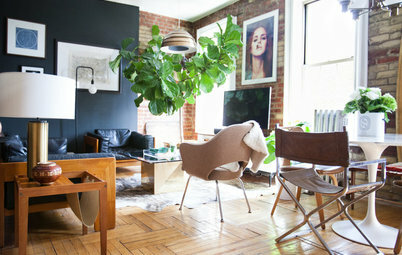 Here’s a roundup of Georgian and Regency rooms on Houzz, all thoughtfully updated. We think Jane Austen would approve. 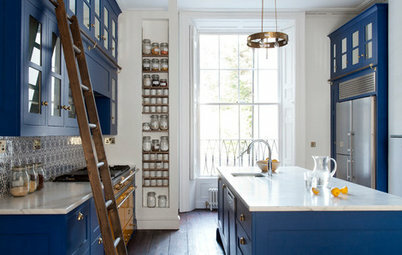 This bespoke kitchen sits within a Grade II listed Regency house. A huge amount of care was taken so it didn’t interfere with the original architecture of the room and its beautiful period features. 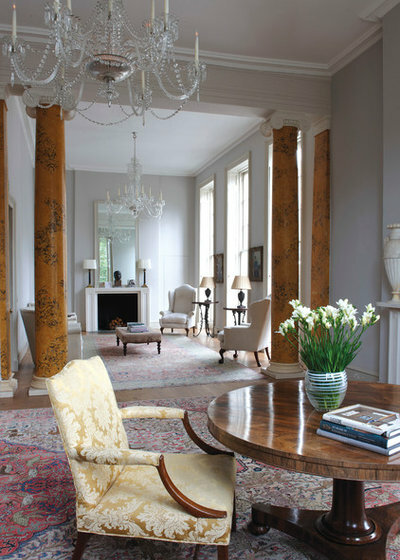 The space is blessed with tall Georgian windows, which let light flood in and give great views over the grounds. It’s a beautiful union of old and new. This refurbished Regency villa is in Devon, the county in which the Dashwoods live in Sense And Sensibility. It looks unchanged today from the outside, although those funky, low garden seats bring a shot of pure contemporary style to the balcony. The characters in Austen’s books were often found attending soirees and balls in homes of this stature. 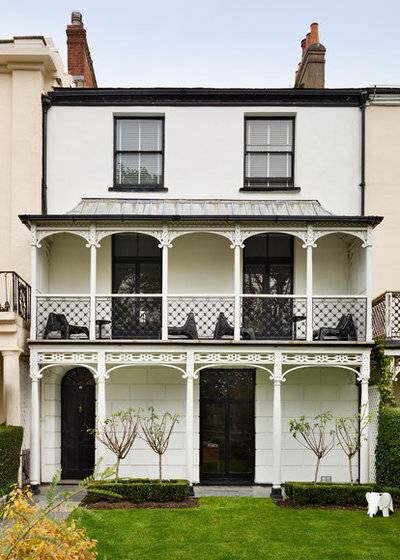 This house, on one of London’s smartest squares, was built in 1798 and started life as an aristocratic home, designed by architect brothers Robert and John Adam. The property suffered bomb damage during the Second World War and was later acquired by the government to become a hospital. 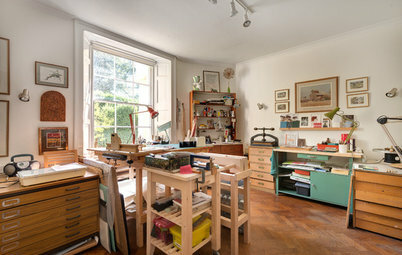 It’s now a lovely home again, with a beautiful drawing room on the first floor. 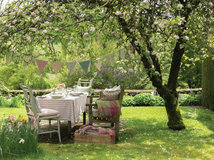 Perhaps Austen would have been comfortable penning a few chapters at this table? 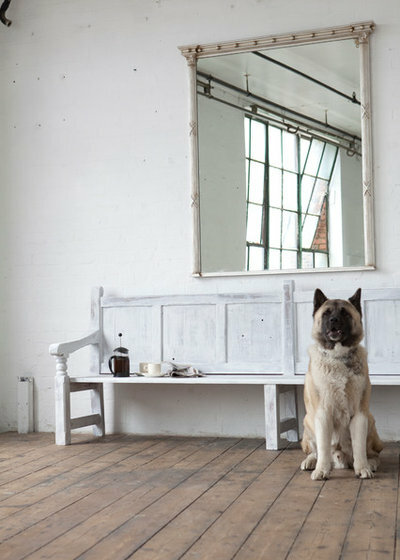 This grand Regency mirror might once have graced the walls of a salon, but today it’s comfortably at home in a pared-down, modern rustic scheme, complete with stripped boards and whitewashed bench. These days, we spend much of our lives in our kitchens, but this would be an alien concept to Austen. The kitchen in a Georgian home would usually have been a simple basement room, used by servants. That said, the handsome fireplace, tall windows and shutters in this kitchen would have felt familiar and welcoming to her, had she time-travelled to the 21st century and found herself in this Bath home. 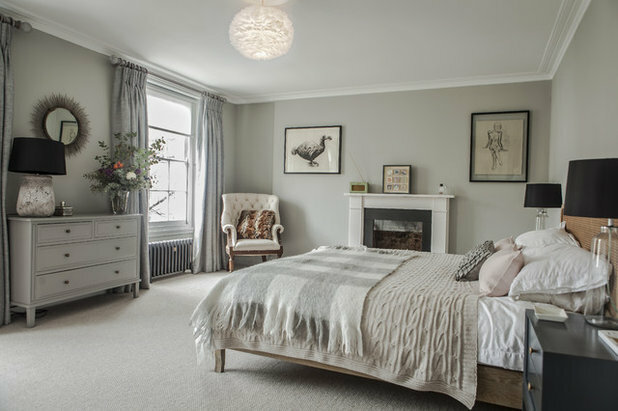 Ever-popular grey looks right at home in this bedroom in a Georgian property in London. 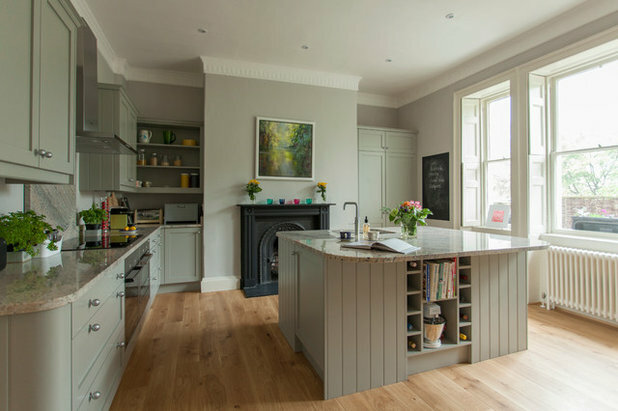 Contemporary grey has been the decorator’s darling for a while now and is super-flexible – especially when it appears in so many layers and different textures – but it’s also a great fit for a period property. In this bedroom, the soft tones don’t detract from the wonderful features, including the elegant fire surround. 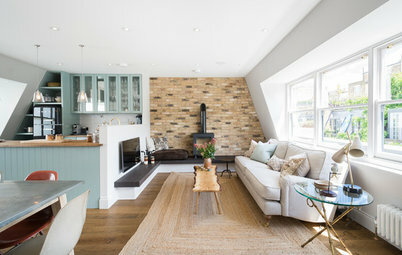 Blending luxurious curtains into the wall colour is another clever decision that highlights those generous Georgian windows. 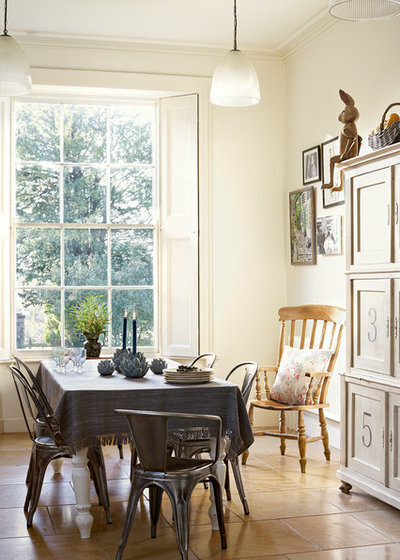 This beautiful dining space in a Georgian rectory in Dorset rocks an easy-to-live-with mix of vintage chairs and homely pieces. 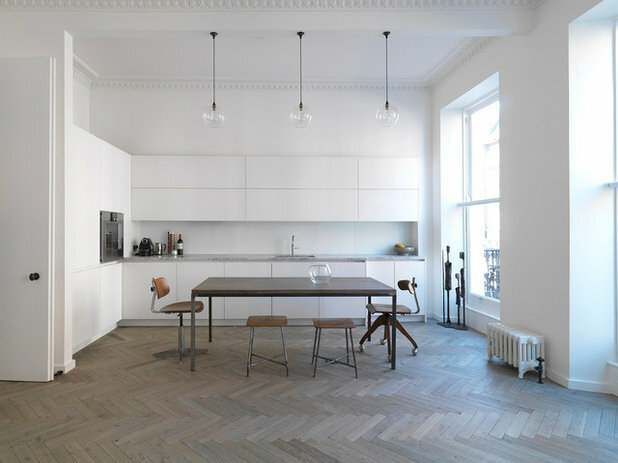 They sit lightly in this space, complementing rather than competing with the proportions and period architecture of the room. 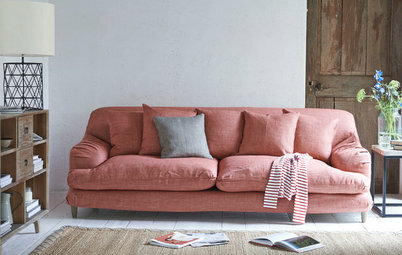 After a long morning visiting the poor or enduring a bumpy carriage ride, most Jane Austen heroines would blanch at the prospect of relaxing in a space like this. It would seem altogether too austere! To today’s eyes, though, it’s a fascinating example of how ambitiously Georgian homes can be modernised. 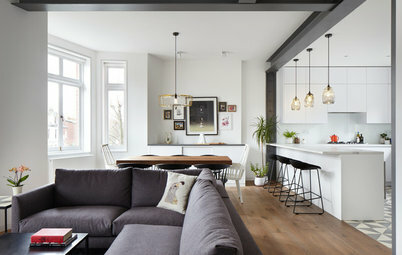 While the aesthetic is contemporary, this kitchen-diner is still obviously period, and its original features are shown off and celebrated by the simple scheme. 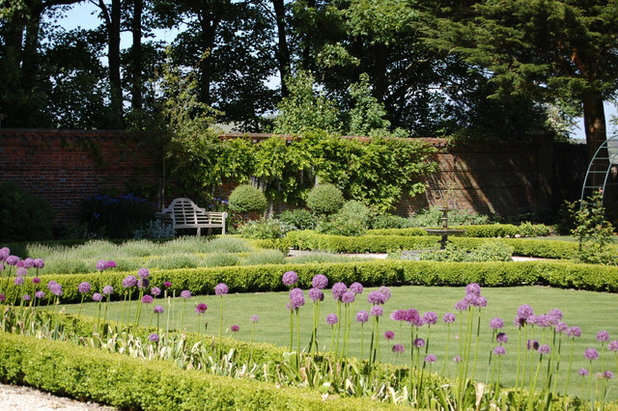 Garden style from the Georgian period is still alive and well today, and it’s easy to imagine a Regency beau strutting around this formal walled garden. That bench would be the perfect spot to declare ones intentions to a swooning heroine, too. Between 1801 and 1805, Austen lived in Bath, famous for its public baths. The mineral waters there and at other spa towns were meant to improve the health, rather than wash the body, although they did that too, of course. There was no indoor plumbing in Austen’s day, so baths would have been an infrequent treat. Perhaps this is one modern innovation she would have been really thrilled by – hot water on tap! What do you love about Georgian and Regency architecture? Perhaps you live in a home from this period? Tell us about it in the Comments below. 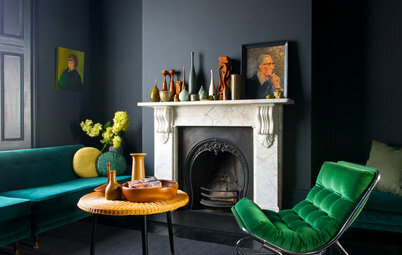 I just love traditional period styling. I love "costume" dramas. I love classical literature. Therefore I just love this article! More of this please! To be honest the first picture of the luxe kitchen I find quite depressing. How can you cook in there, it's so minimal and clinical and no wall tiles? The big marble slab in the middle reminds me of a funeral home, sorry. Yes, Telsa, I would be worried all the time about getting grease marks on that smooth dark wall! Pets Spot the Dog! Can You Find the Camouflaged Canines in These Homes? 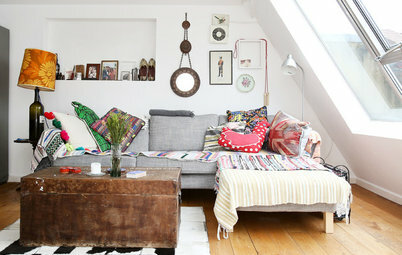 You’re in the mood to transform that corner of your home that’s bothered you for months. Today’s the day! Or is it?